An album packed with genuine Rock quality. I reviewed XY's previous album 'Flying' a couple of years ago and remember it as being an "okay sort of thing"; a few memorable tracks of fairly easy on the ear Alternative Rock, full of electronica and effects – all put to good use rather than just for the sake of it. 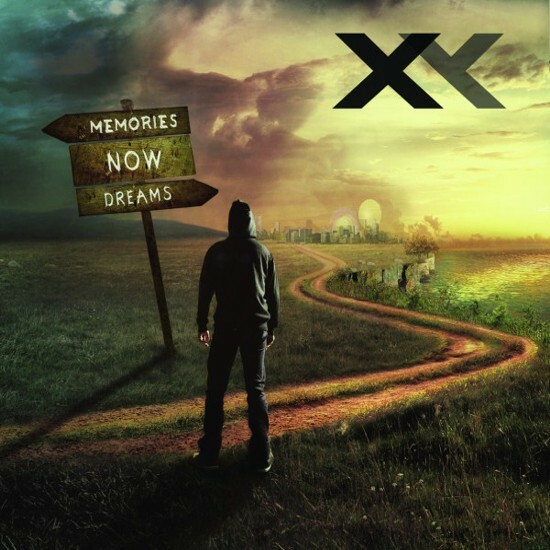 Whilst 'Memories Now Dreams' is more of the same, this time XY have taken it to a whole new level with a much heavier, stronger sound. 'The Sign' starts off simply enough, gentle vocals over an atmospheric rhythm; it's a fifty second intro before 'One Last Stand' kicks in with a roaring, dirty Nu-Metal blast. Featuring the snarling, growling vocals of Shawter from fellow French Rockers Dagoba, I'm not normally a great fan of guttural roaring vocals, but it certainly works well here, combining with William Morabito to give a powerful mix of controlled aggression against XY's own sound with a similar theme continuing through 'Crush You'. Anyone who knows XY will also be aware of their influence and love of all things Avenged Sevenfold and 'Deathbat' is their worthy tribute to Ax7, a strong Rocking blast in familiar style. Much as these influences remain close to the surface, there's a big chunk of Linkin Park too, especially in the likes of 'When You're Not With Me' and 'Rebirth'. 'It's Not Too Late' is a highlight, despite being a complete change in tempo, it's lone piano picks out the tune creating a ballad of despair and loss, building to an evocative guitar solo; it's XY's equivalent of G'N'R's 'November Rain'. 'Virtual Life' and 'Welcome To My Place' are a couple more solid Rockers before ending in epic style with the nine minute 'The Best Is Yet To Come'. 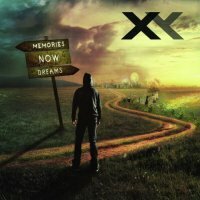 It's an appropriate end to the album as 'Memories Now Dreams' is a huge step forward for XY. They hold true to their Alternative Rock influences, which to be fair they have never tried to hide, even going as far as producing an album of Ax7 covers in the past, but a heavier approach has carved out a more distinctive style of their own. Based around the South of France, (Nice/Cannes – playground of the rich and famous) they still have that party animal vibe but have successfully combined that with some strong song-writing and arrangements to produce an album packed with genuine Rock quality and legitimacy in its own right.